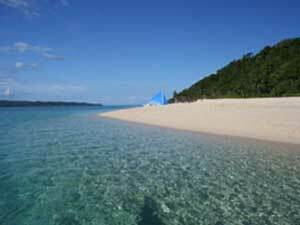 Beach culture, laid back atmosphere, casual beach dress, active watersport scene, great bar life and chill out places. Families will feel safe and have enough activities for children, singles will find a welcome anywhere and couples will experience romance wherever they go…. Just off the northern tip of Panay in the Visayas. 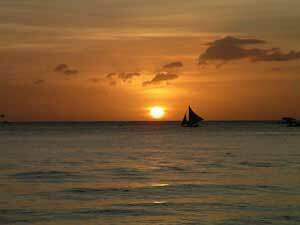 To reach Boracay the nearest Airport is Caticlan, which is just a 45 minute flight from Manila or Cebu. Then from Caticlan airport, a twenty minute banca boat ride to the Island. Alternatively Kalibo International Airport is a two hour bus ride to Caticlan. 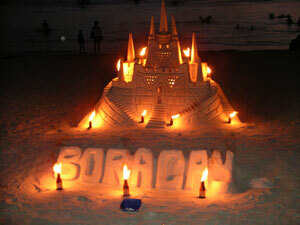 Boracay abounds with things to do. Reef Retreat is situated on one of Asia’s finest Windsurfing and Kitesurfing beaches. Other activities available are : Horseriding, Golf, Jet-Ski, Banana Boat, Yoga, Spa and Massage, Island hopping, Paraw sailing, Snorkeling, Diving…the list goes on. Let us at Reef retreat plan your activities so that your vacation is as active or as restful as you want!